If your computer is slowing down or showing unwanted pop up’s and your search engine opens unwanted sites, then you are invariably infected by malicious software. Malicious software includes malware, adware and viruses and the developers of these things make it difficult to remove the infection. We can quickly and efficiently remove anything harmful while making sure your data is safe. We also offer advice on how to protect yourself against future problems. Purchased a new Laptop/Desktop or other PC device? We can help you set it up and offer advice on things like security and backups. 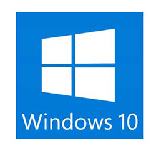 Whether you just need a little help navigating around Windows 8 Â or Windows 10 or you need us to transfer your data/emails and connect to printers and wireless networks, we can help. Have you accidently deleted files, formatted your camera cardÂ or your hard drive has crashed? All is not lost, we can help recover your lost files. In most instances the data is recoverable. We also offer advice on the best methods available to prevent this from happening again in the future. Need help with setting up Skype, editing pictures, writing documents or sending E Mails? Whatever your query we are here to help. We offer friendly tuition in plain understandable terms with no computer jargon. Â We also assist with reviving old photos that may have been damaged over time. Have you replaced your old computer or have one that you no longer want or use. 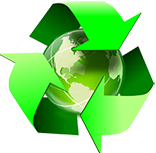 We offer a free recycling service where we will remove, wipe Â and destroy any Â data on the machine. The remaining components are then Â sent to recycling depots thus reducing the volume of waste sent to landfill. We operate in Leamington Spa, Kenilworth, Warwick, Coventry, Rugby and all surrounding towns and villages.